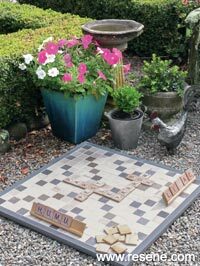 Rose Hughes shows how to make a Scrabble set for use outdoors! 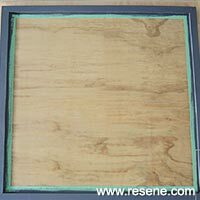 Your will need: Porcelain tiles (I used 225 x 45mm x 45mm tiles in various colours), 1 x 12mm sheet treated ply, primebond primer, 5m of 30mm x 10mm pine beading, Resene Quick Dry primer, a paint test pot in your chosen colour (I used Resene Steel Grey), untreated 6mm ply for the letter tiles and stands, surefix tile adhesive, masking tape, tile grout, 4g x 16mm screws, wood glue, sandpaper, printed scrabble letters (download for free online), Resene Aquaclear waterborne urethane varnish in Satin , pencil/tape measure/ straightedge, drop saw, circular saw. These instructions are for 45mm tiles, but you can scale it to whatever size you use. If required, peel the tiles from their backing. Lay them out (different colours represent double and triple letter and word scores). Cut an 815mm x 815mm square from the 12mm ply. Apply 2 coats of Primebond to the top face and let dry. Cut the beading to fit, mitring the ends. Undercoat with Resene Quick Dry. Glue in position and clamp until dry. Mask the base; apply two coats of topcoat. When dry, screw the beading in place from the back of the board. 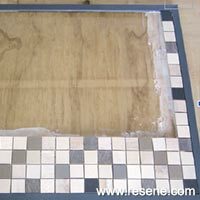 Apply the tile glue and tiles. 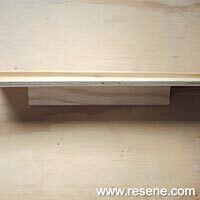 Set the spacing by completing a horizontal and vertical strip and work from there. Mask the woodwork, then grout the tiles in place. Mark 50mm x 50mm squares on the 6mm ply and cut out the letter tiles. 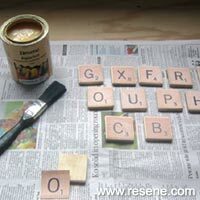 Print and cut out the letters, then glue them onto the tiles. 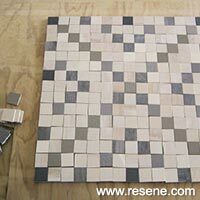 Allow the glue to dry, then apply two coats of Resene Aquaclear. To make a letter stand, cut a 360mm x 60mm piece of the 6mm ply. Cut a 5mm strip from the beading for the letter ledge and a 200mm x 30mm piece for the back rest. Glue and clamp the ledge to the front; once dry, glue the back rest into position. Repeat to make a second stand. 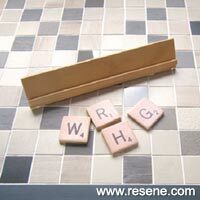 Allow your Scrabble board and pieces to dry, then you’re ready to play.